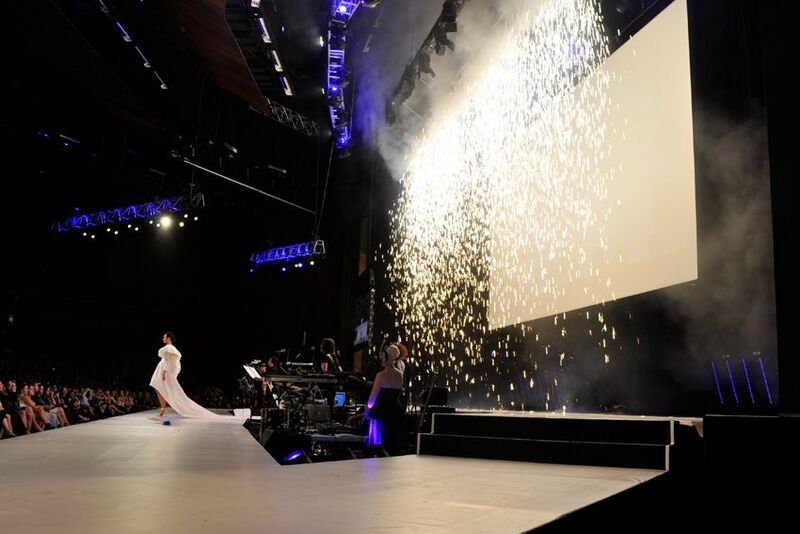 LMFF officially kicked off last night with Fashion Full Stop. 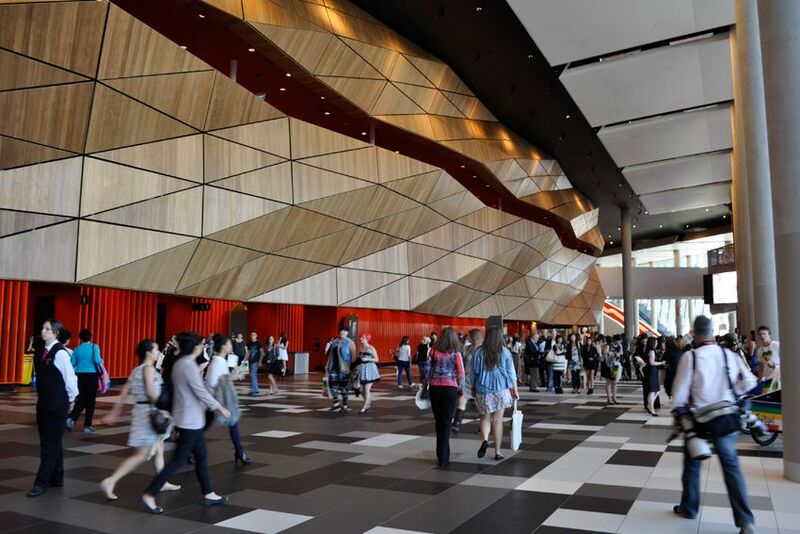 Held at the futuristic Melbourne Convention Centre and open to the public for the first time, the launch was more commercial than in previous years. 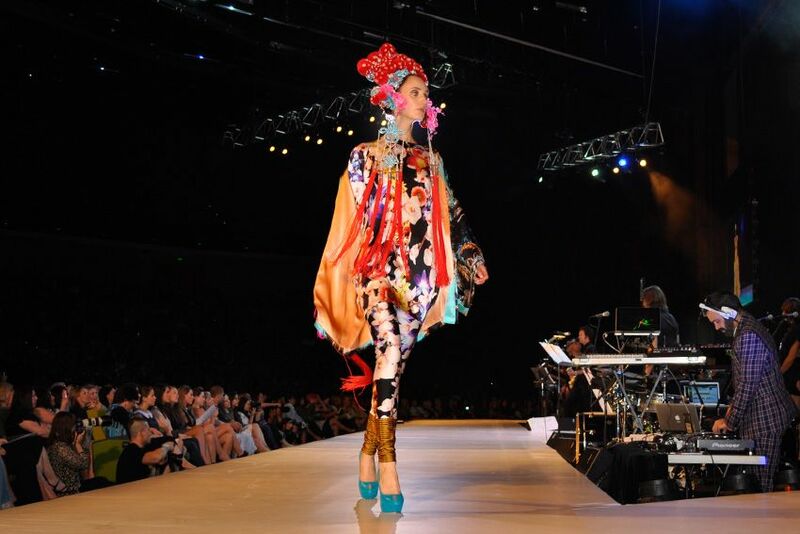 Touted as both fashion show and rock concert in the program, with performances by Guy Sebastian and Marcia Hines the launch was set to cement the festival's position as a consumer and retail event with new festival Creative Director Grant Pearce's vision coming to life. 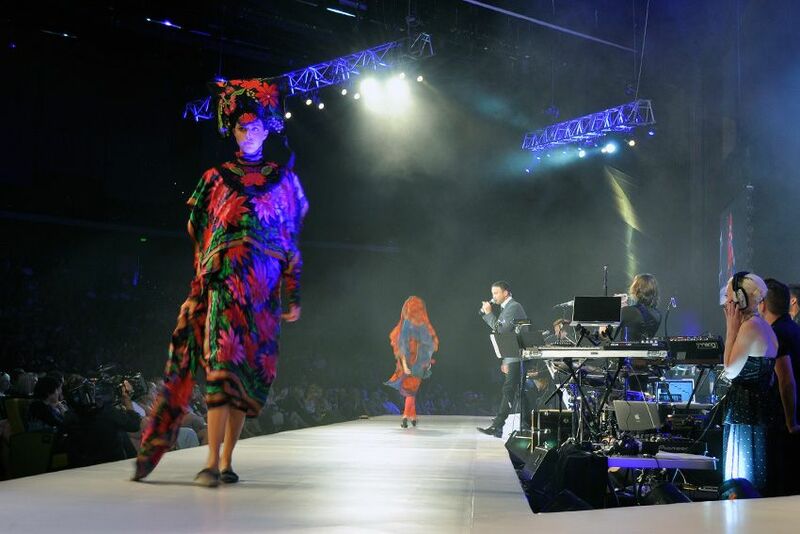 Fashion Full Stop showcased the history of Australian fashion, with iconic Australian designer's Jenny Kee, Linda Jackson, Prue Acton and Sally Browne's bold designs from the 1980's opening the show. 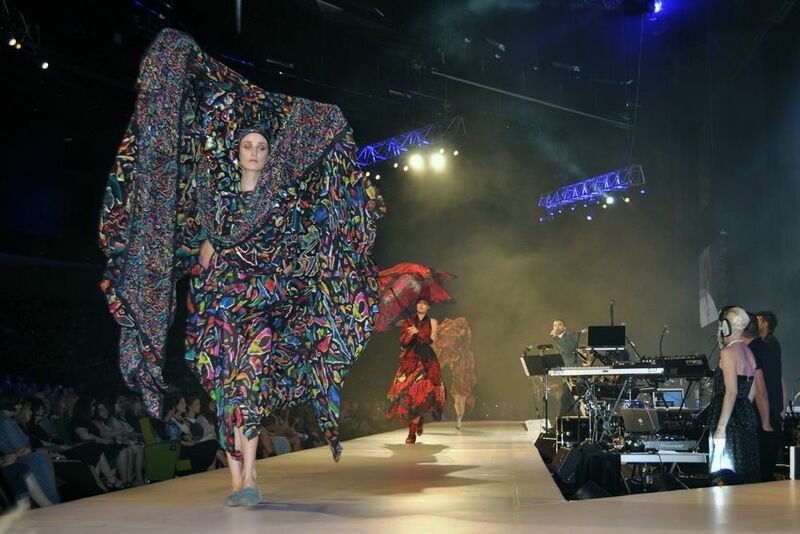 The 1980's theme continued, but the fashion had to compete with a series of distracting dancers who, whilst adding some energy to the night, really made photographing the clothes difficult. The dancers really getting into it. My gals NoDiscount had a few pieces in the denim section of the show. The studded denim jacket is perfection. as are the studded denim shorts. 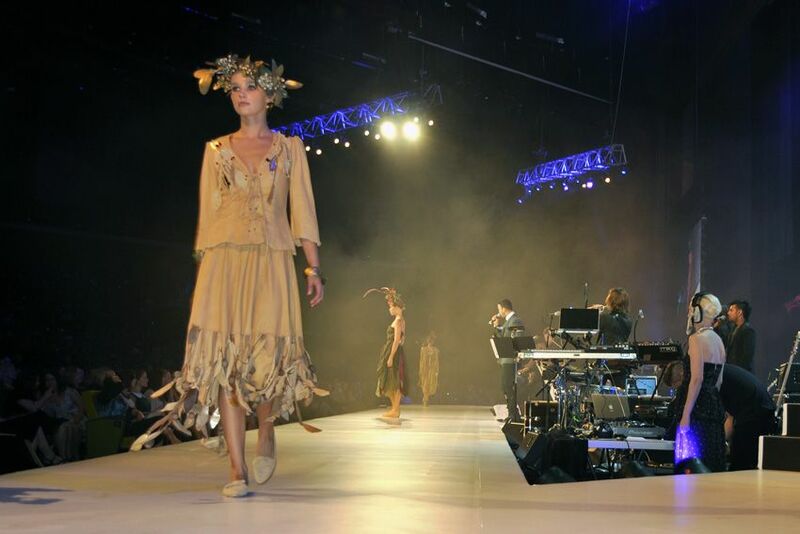 Trimapee's work was featured in the conceptual section of the evening. 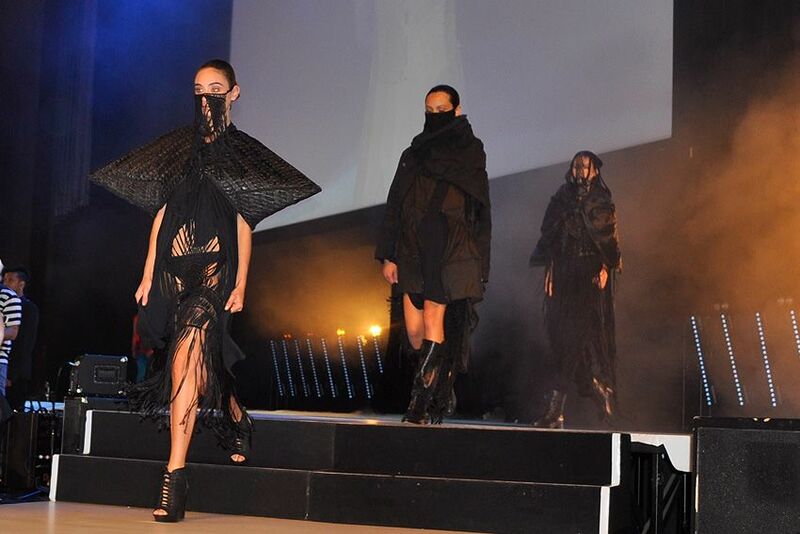 As was Romance Was Born's AW11 collection. 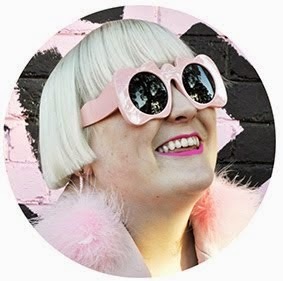 The iconic Jenny Kee, who has just made her first foray into the world of selling online with www.jennykee.com where pieces from her vintage archive and new limited edition releases of signature printed silk scarves will be available to buy. 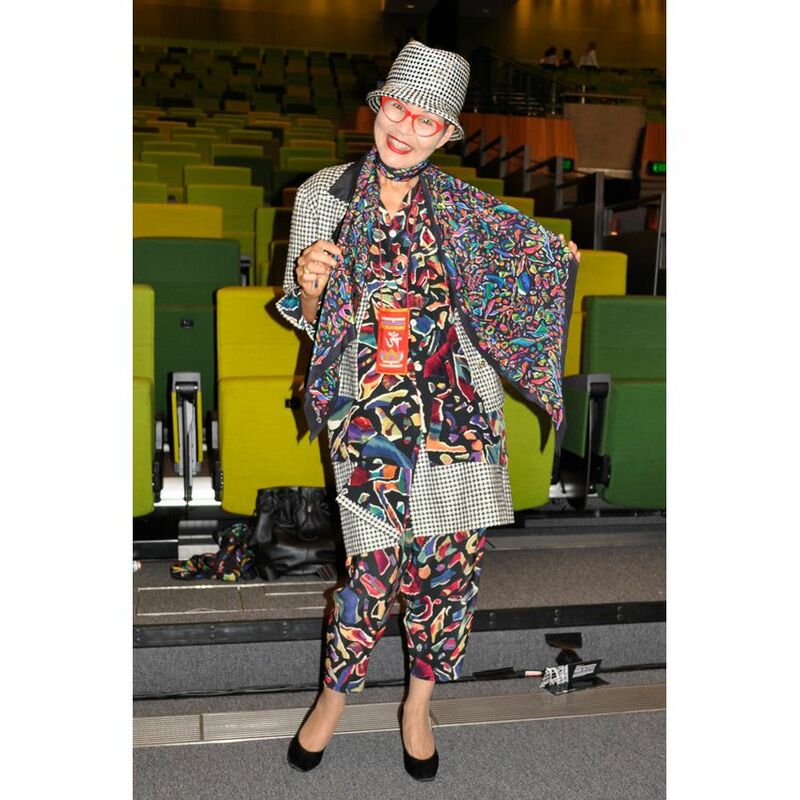 I have to say my favourite outfit would have to be from Jenny Kee herself, loving the prints and dog tooth combo. Trimapee also a standout. Looked like a lot of fun. it was an amazing opening.